Our group is developing a systematic and comprehensive approach for the assessment and management of seismic risk to urban and interurban roadway networks in earthquake prone areas. 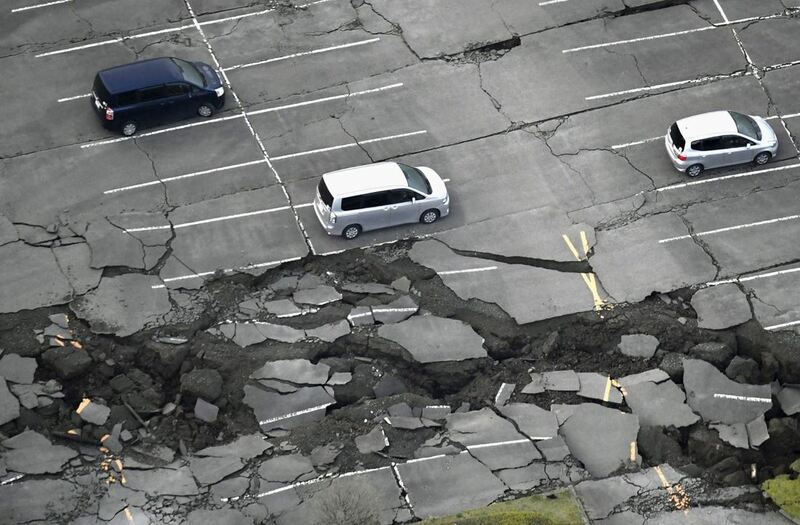 More specifically, a holistic methodology has been developed for the assessment of losses in the various components of the urban and interurban roadway networks (inclusive of roads, motorways, bridges, overpasses, embankments and abutments, tunnels, retaining walls, slopes) exposed to the risk associated with a strong earthquake. Our research focuses on the development of a holistic methodology to account for the effect of spatially variable earthquake ground motion on the response of long bridges considering ground motion incoherency and wave passage effects, soil-structure interaction and local soil and site response. Based on laboratory experiments, free field and on-structure measurements, the influence of higher mode excitation is investigated while design codes and guidelines are critically assessed. Our group is leading an H202, EU-funded, Intersectoral/International, Research and Innovation transfer scheme between academia and the industry in Europe and North America focusing on mitigating Seismic Risk of buried steel pipeline Networks that are subjected to ground-imposed permanent deformations. A (nearly real time) Decision Support System is developed for the Rapid Pipeline Recovery involving quick inspection of the soil-pipeline system at a pipe, pipeline and network level, hybrid testing and novel network analysis. The 7.8 magnitude earthquake that caused extensive damage, shattered 9,000 lives on April 25, 2015 and left 22,000 people injured, was the worst natural disaster to strike Nepal since 1934. It was followed by a 7.3 magnitude aftershock on May 12. 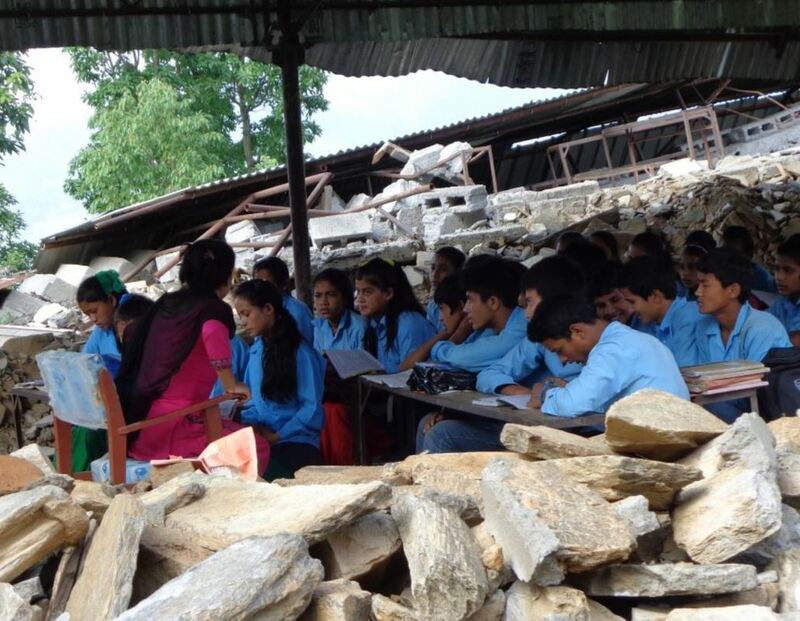 Overall, over 600,000 homes were destroyed including 8,620 damaged schools in the 14 worst-affected districts with 19,700 collapsed classrooms, 12,000 heavily damaged, and another 17,500 with relatively minor damage. Our research efforts are focused on (a) developing a holistic framework for the pre- and post-assessment of school buildings (b) investigating technically feasible, economically affordable, culturally acceptable retrofit solutions that can be implemented in a rural context using locally available materials, (c) validating numerical predictions typically used for school design and assessment against laboratory tests, (d) forming simple rules and formulas to update design codes and Guidelines, as well as (e) developing new, low-cost/high-performance, construction techniques for school buildings, TLCs and shelters.